Mr Joseph Chan was appointed as an executive director in September 2008. He received his master degree majoring in international marketing from the University of Strathclyde and a diploma in China Investment and Trade from Peking University. Mr. Chan has 30 years of experience in commercial and investment banking, and asset management. From 1994 to now, Mr. Chan has been a founding partner of Oriental Patron Financial Group where he is also executive director of Oriental Patron Asia Limited and a non-executive director of Oriental Patron Securities Limited. Oriental Patron Asia Limited is the investment manager of OP Financial Investments Limited (Stock Code: 1140), a company listed on the Main Board of the Stock Exchange. 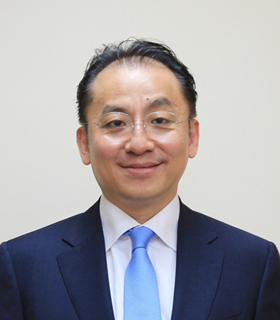 Mr. Chan is also a non-executive director of Regal International Airport Group Company Limited (Stock Code: 357), a company listed on the Main Board of the Stock Exchange. He is independent non-executive director, member of each of Audit Committee, Remuneration Committee and Nomination Committee of North Asia Strategic Holdings Limited (Stock Code: 8080), a company listed on the Growth Enterprise Market of the Stock Exchange. On social services, Mr. Chan is a member of Hubei Provincial Political Consultative Conference, Chairman of Silk Road Economic Development Research Centre, Chairman of Hong Kong Energy and Minerals United Association, Vice Chairman of China Hong Kong Economic Trading International Association and Vice President of Federation of Hong Kong Hubei Association, Chairman of Banking, Finance & Securities Committee of Hong Kong Macau and Myanmar Chamber of Commerce & Industry, and Honorary Advisor of Xinjiang Association of Hong Kong and Executive Vice President of the Hong Kong Poverty Alleviation Association Limited. He holds licenses respectively of Type 1 (dealing in securities), Type 4 (advising on securities), Type 6 (advising on corporate finance), and Type 9 (asset management) under the Securities and Futures Ordinance (cap. 571 of the Laws of Hong Kong).